A long-suffering stretch of street in downtown Fort Worth is about to become the new jewel of redevelopment. Six light sculptures towering some 36 feet above West Lancaster Avenue between Jones and Lamar streets await illumination. The Avenue of Lights just "another thing that makes downtown Fort Worth look great," said Fort Worth resident Eric Schwarze. It could become another bright spot in a downtown that already has some of everything: the Water Gardens, the bars, shops and eateries in Sundance Square and the new Omni Hotel. "I love Fort Worth," Cammie James said. "I love where I live -- I live close, and we come down here often." 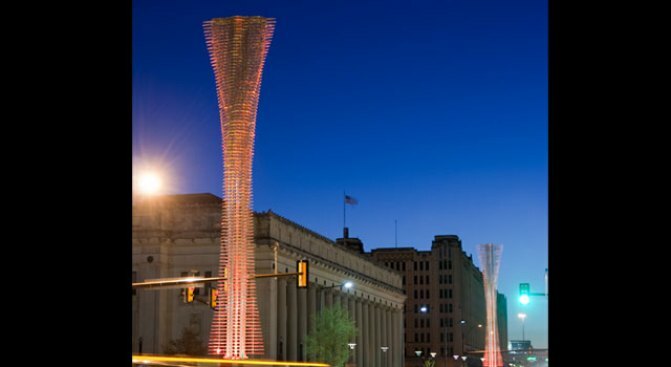 The city hopes the light sculptures will bring commerce to south end of downtown. 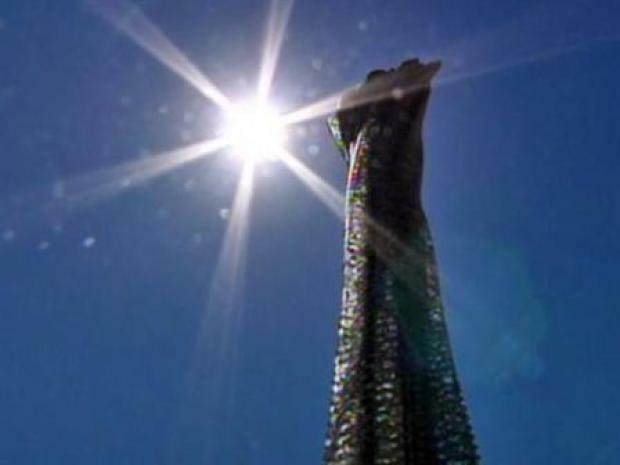 The city hopes the sculptures will light a spark in the private sector to build shops, cafes and nightspots akin to a mini Sundance Square. "Lancaster Avenue is the gateway to the Central Business District, and with these sculptures, we believe that it will be the eye-catching exhibit that will bring people (and new businesses) in to that area of downtown," Janice Thompson-Burgess said. James, a Fort Worth native who graduated from Eastern Hills High School in 1996, said she excited by the prospect of more nightspots and restaurants. Schwarze said he thinks the prospect of development is great. "We enjoy coming in to downtown Fort Worth, so the more economic growth, the more places to go -- it's all good for the city (and) it's all good for business," he adds. The lights will officially be turned on during a festive block party planned for May 2. Mayor Mike Moncrief and Mayor Pro-Tem Kathleen Hicks will be featured speakers.